I just downloaded (and spent my entire morning exploring – sorry I'm late megan) the BEST crystal meaning app EVER. Check it out! Search the App Store for STONE While it doesn't have every crystal on it, there are most of my favorites and it's like they have read my secret thoughts in describing their properties. 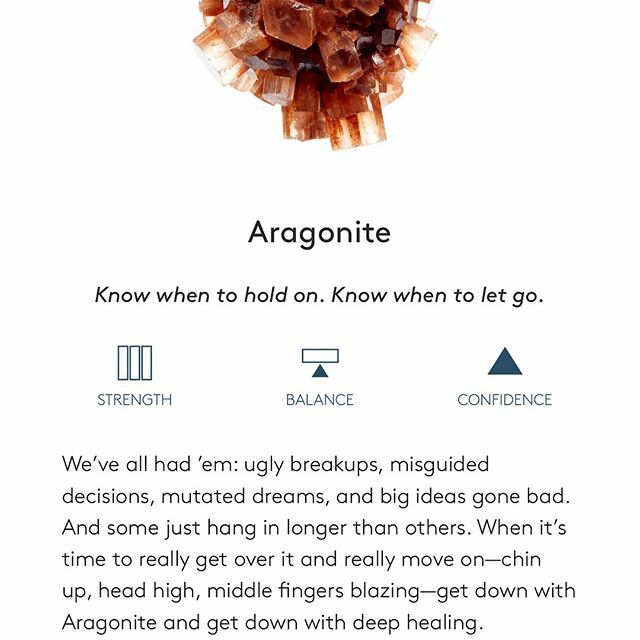 Like this one – #aragonite is my personal stone and this description has hit the nail on its head. What are some of your favorite resources? Books? Blogs? Teachers? What else don't I know about?